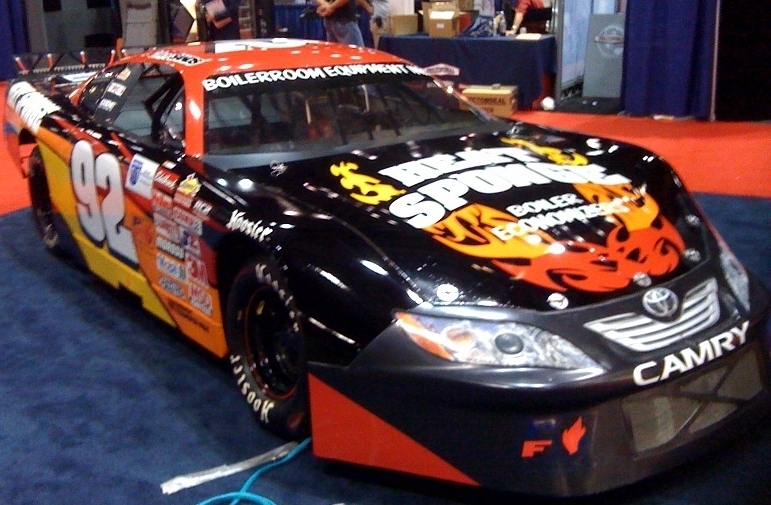 Boilerroom.com is proud to be an associate sponsor to the #92 NASCAR / Lamot Late Model Stock Car team. The car is widely known as "The Boiler Car". The team's primary sponsor is Unilux Boilers and other associate sponsors are Triad Boiler Systems and HeatSponge.com Boiler Economizers. All of us at Boilerroom.com work hard to support the efforts of the racing team including helping them find partial sponsorship through use of our Internet site. We strongly encourage all visitors to our site to support the companies that advertise on our website so that we can support the efforts of our friends on the team. Thank you. 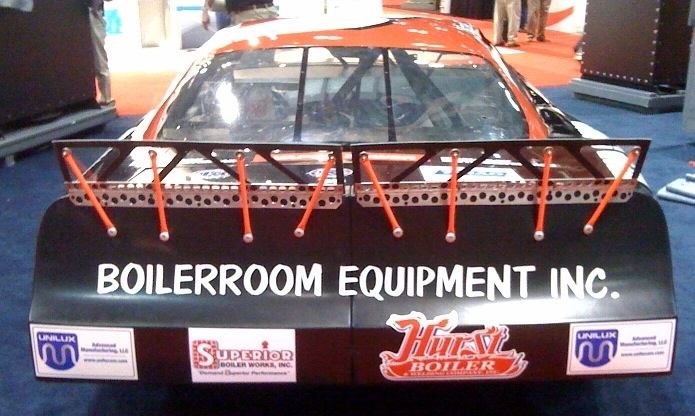 The photos below are the brand new 2010 car that was displayed at the recent AHR Expo (ASHRAE) in Orlando.